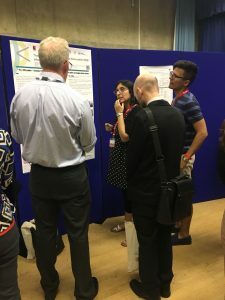 From the 24th to the 27th of June, the 13th International Conference of the Learning Sciences (ICLS) took take place in London (UK) at UCL Institute of Education and within the London Festival of Learning, which united three separate academic conferences – ICLS, AIED and L@S – and the EDUCATE Showcase. 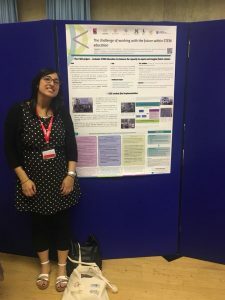 During the meeting, Giulia Tasquier and Olivia Levrini (project coordinator) from the UNIBO partner presented a poster with the first start-up module on Climate Change and the preliminary results of the Summer School organized in Bologna last June. During the poster session we had the chance to share fresh and inspiring discussion … and now we are ready to dive into writing a new paper on the first I SEE results. Tasquier G., Levrini O., Laherto A., Palmgren E., Wilson C. (2018). The challenge of working with the future within STEM education. 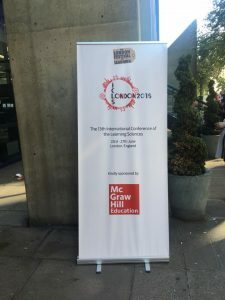 Paper presented at ICLS Conference, London 23-27 June, 2018. 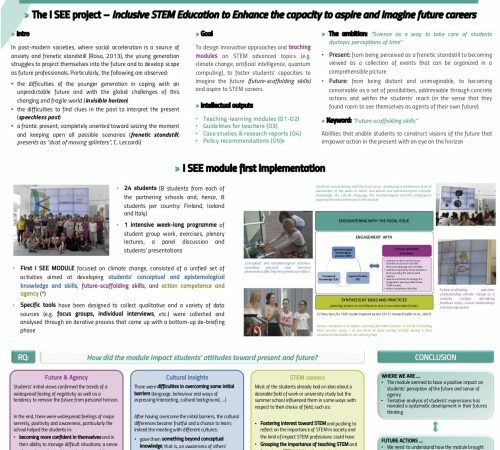 Here (Tasquier_ICLS_Poster) you can download the poster and the here (ICLS2018_Proceedings_Tasquier) the short article published in the proceedings.